Size: 1.9285 inch extender. Brass, Sterling Silver. 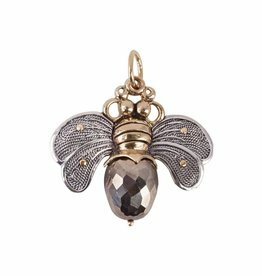 By Waxing Poetic handcrafted womens jewelry celebrating the rich journey of life with keepsake charms, pendants, bracelets, chains, necklaces, and more. Size: 16 inch w 2 inch extender. Sterling Silver. By Waxing Poetic handcrafted womens jewelry celebrating the rich journey of life with keepsake charms, pendants, bracelets, chains, necklaces, and more. Size: 1.4375 inches. Brass and Swarovski Crystals. 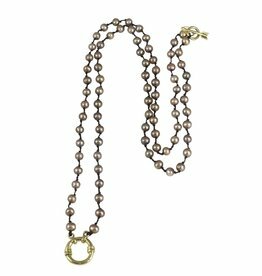 By Waxing Poetic handcrafted womens jewelry celebrating the rich journey of life with keepsake charms, pendants, bracelets, chains, necklaces, and more. Size: 18 inches. Sterling Silver. By Waxing Poetic handcrafted womens jewelry celebrating the rich journey of life with keepsake charms, pendants, bracelets, chains, necklaces, and more. Size: 18 inches. Brass and Sterling Silver. By Waxing Poetic handcrafted womens jewelry celebrating the rich journey of life with keepsake charms, pendants, bracelets, chains, necklaces, and more. Size: 32 inches. Sterling Silver, Brass and Spinel. 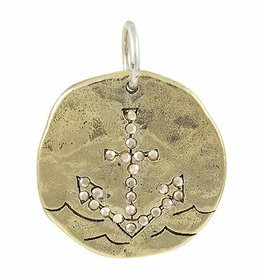 By Waxing Poetic handcrafted womens jewelry celebrating the rich journey of life with keepsake charms, pendants, bracelets, chains, necklaces, and more.